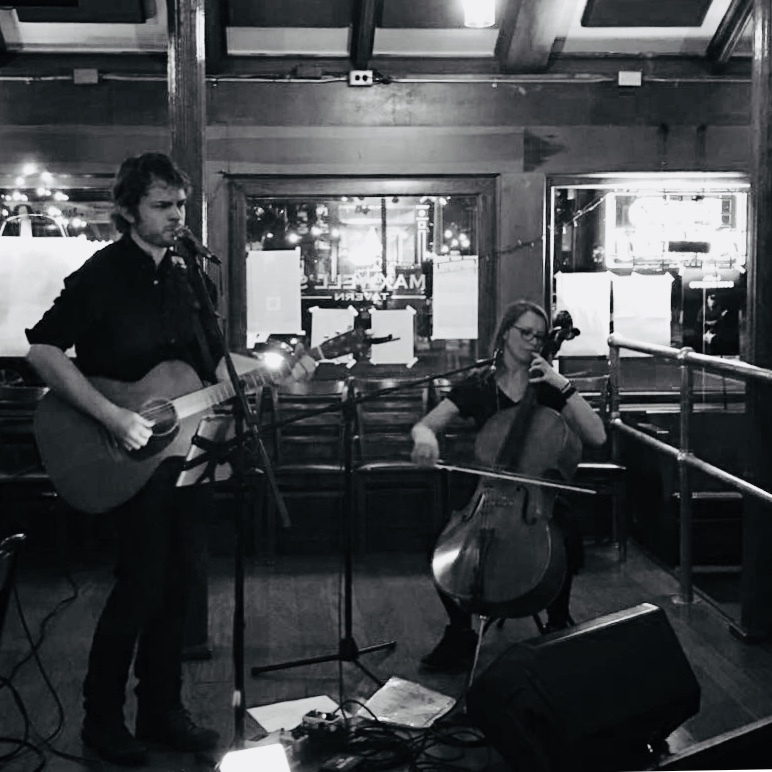 It was a fantastic event at Maxwell’s Tavern in Hoboken, NJ, beginning with spoken word and moving into music. The energy was high and all six members of the Toll Collectors were there. A rarity for this band! We had a blast delivering an all-original setlist. Thank you to everyone who attended! 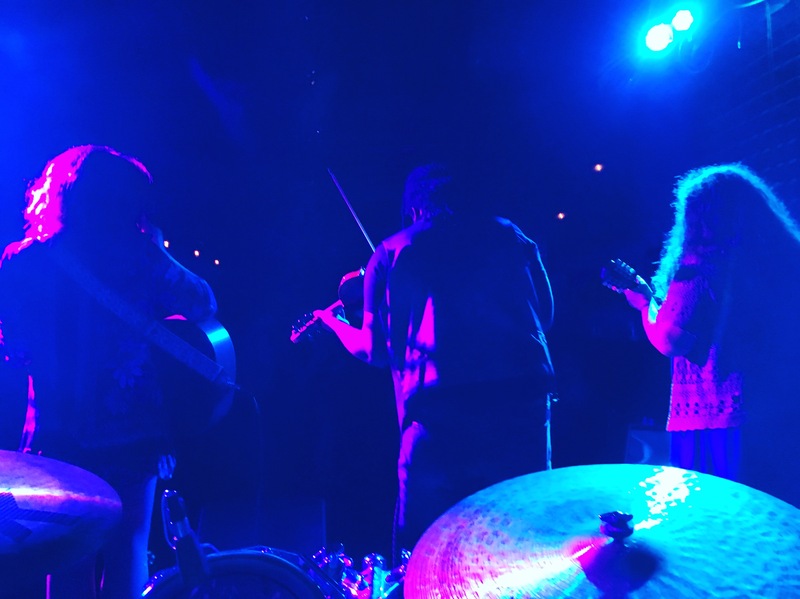 This was my perspective from the drum seat. The band is all here! Next show is coming up on Friday, August 4th at Maxfield’s in Boonton, NJ! Can’t wait! 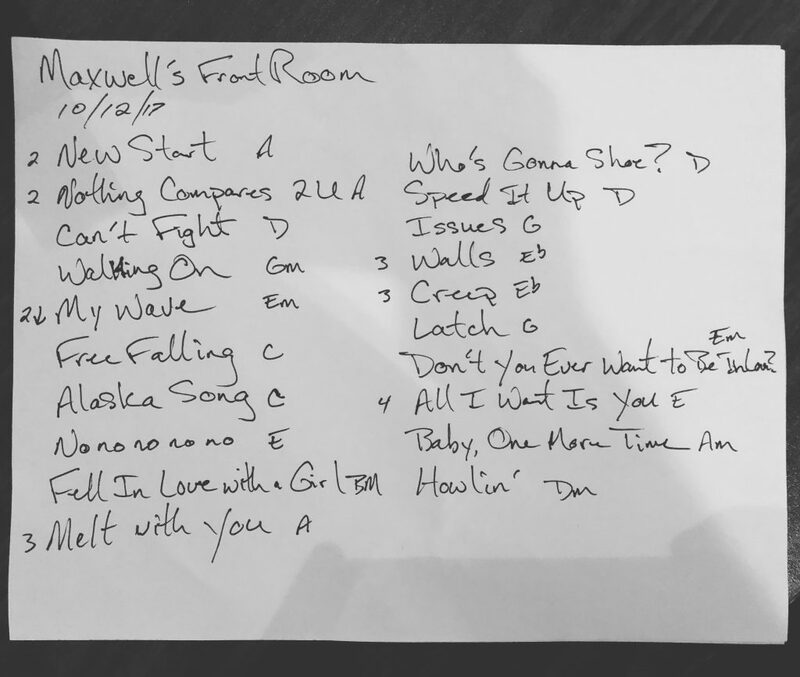 This entry was posted in recap, setlists, Toll Collectors and tagged Hoboken, maxwells, recap, setlist, toll collectors on August 1, 2017 by josh. 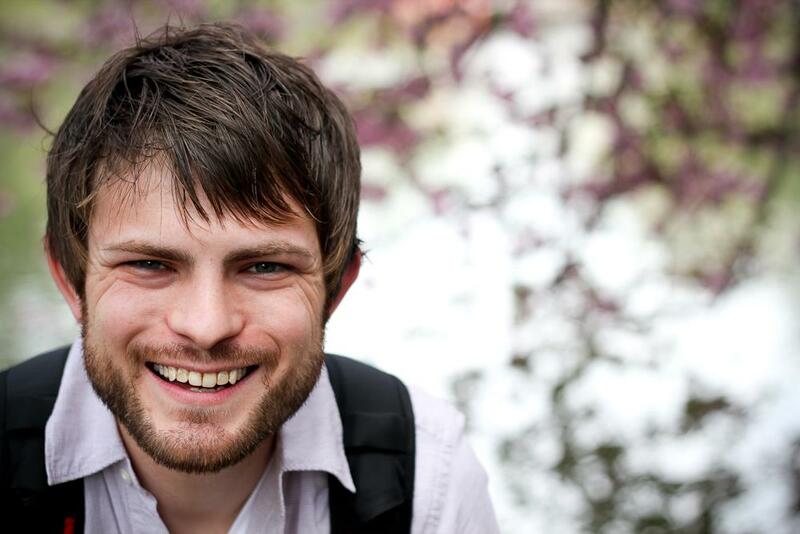 Join me on Thursday for a night of original music and covers at the legendary Maxwell’s in Hoboken, NJ. I’ll be joined by Ty Tuschen on electric guitar in the front room. Free and open to the public! 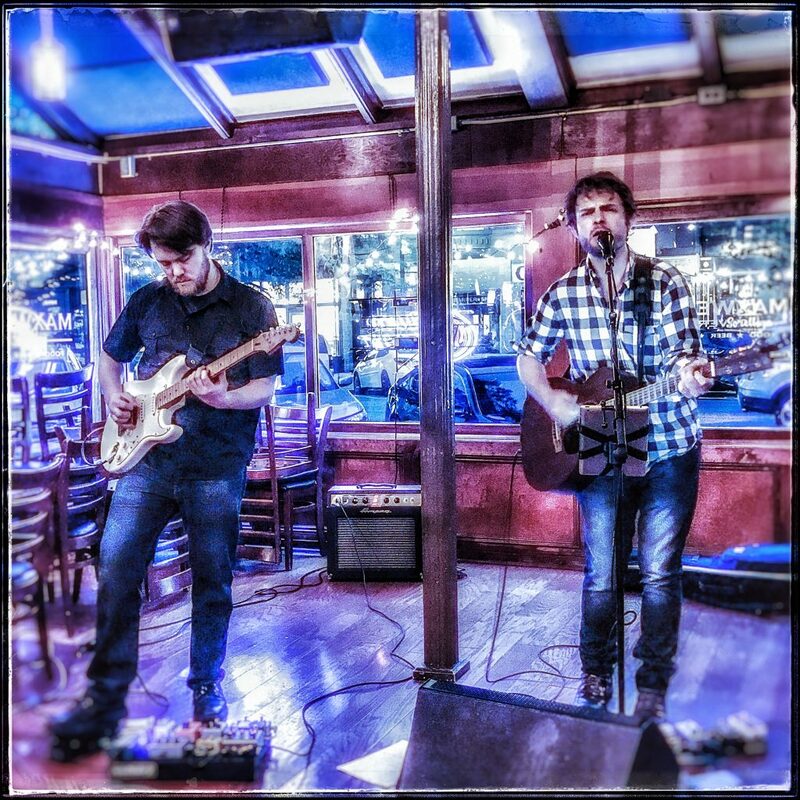 This entry was posted in performance and tagged Hoboken, maxwells, nj, performance, singer/songwriter on May 2, 2017 by josh. Setlist from the Hey Tiger reunion show at Maxwells. Wednesday, June 26th. 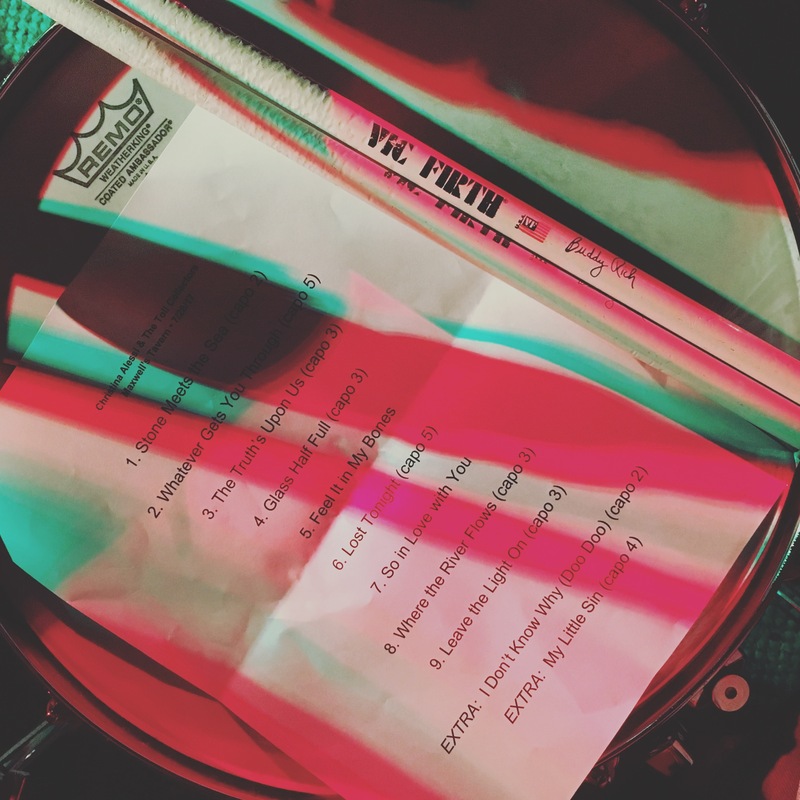 I typically take a photo of the handwritten setlist, but we never actually wrote one. Whoops. 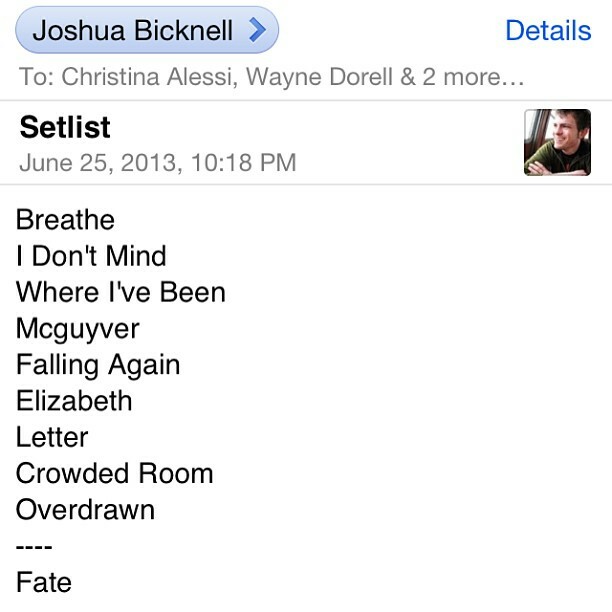 Below is the email with the setlist in it. FYI – Mcguyver = Warning Shot. 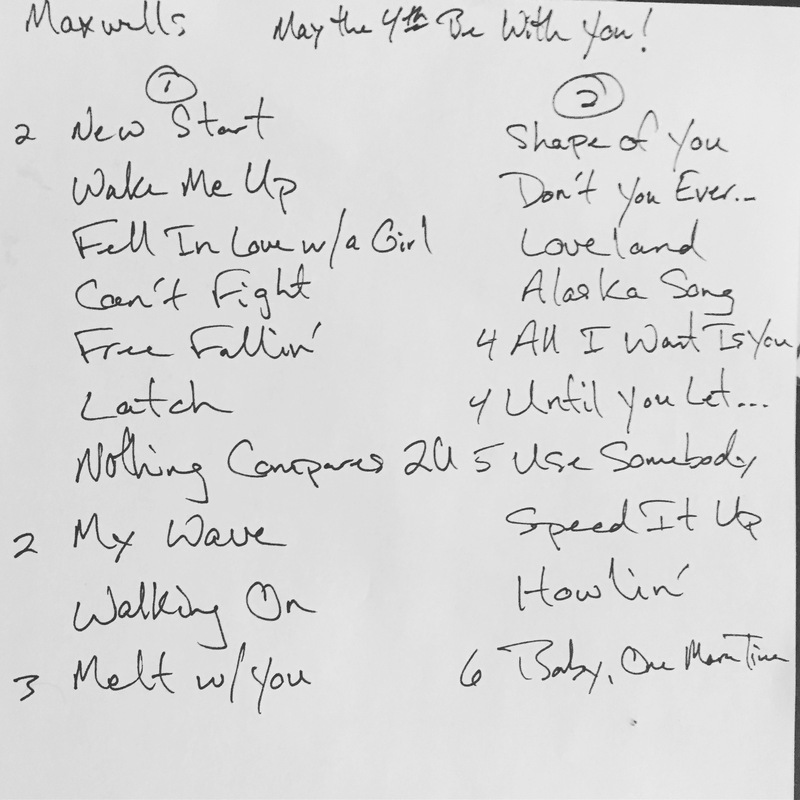 This entry was posted in hey tiger, setlists, shows and tagged christina alessi, hey tiger, Josh bicknell, maxwells, nj, setlist on June 29, 2013 by josh. One last time with feeling. Tonight at 8pm sharp. (We’re the first band so be sure to get there before 8pm.) Maxwells. Hoboken, NJ. This entry was posted in hey tiger, performance, shows and tagged hey tiger, Hoboken, maxwells, nj on June 26, 2013 by josh. 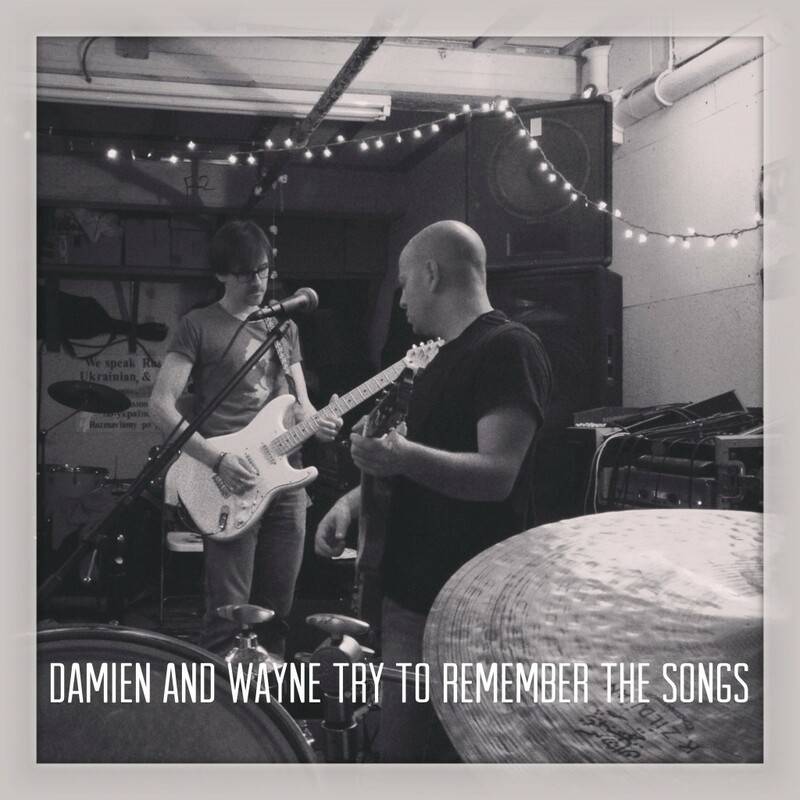 Rehearsals have begun for the Hey Tiger Reunion show at Maxwells. We’re getting excited to play one last time before this iconic NJ music venue closes its doors. Also, we’ve just posted our three records – one full-length and two EPs – up on YouTube as playlists so that you can stream them. I’ve embedded them below. Enjoy! 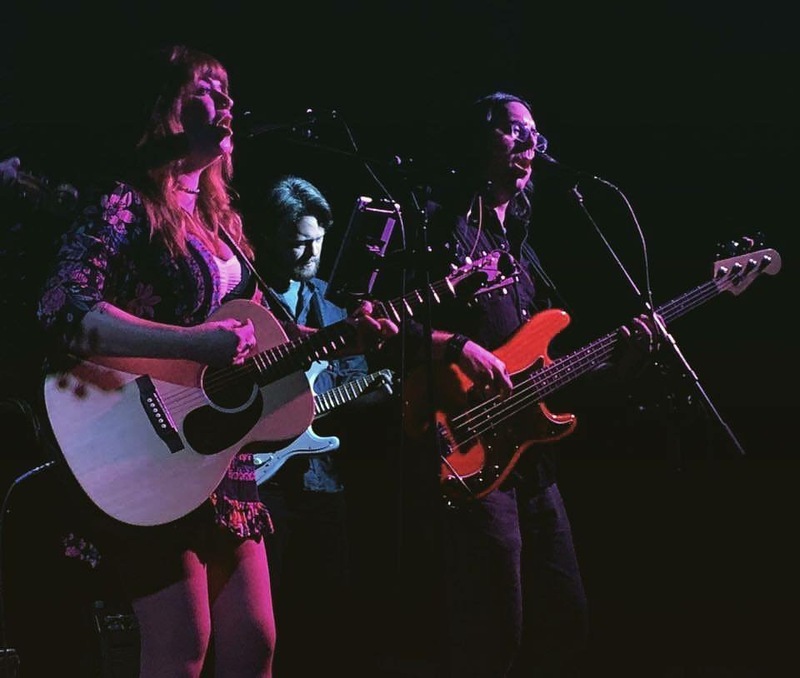 This entry was posted in hey tiger, recording, shows and tagged 1.0, christina alessi, hey tiger, Josh bicknell, maxwells, morning light, music, nj, performance, september on June 19, 2013 by josh. 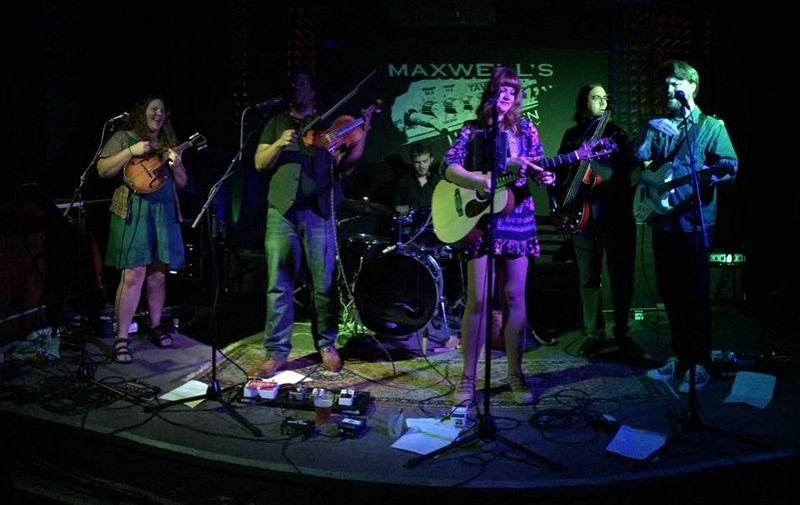 We couldn’t let Maxwells close without reuniting for one more show. 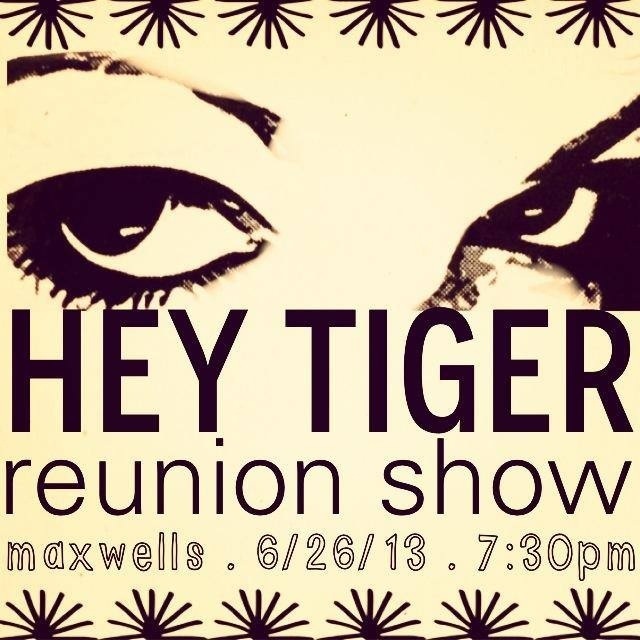 My former band, Hey Tiger, has decided to reunite to play Maxwells one last time before this iconic NJ venue closes its doors. 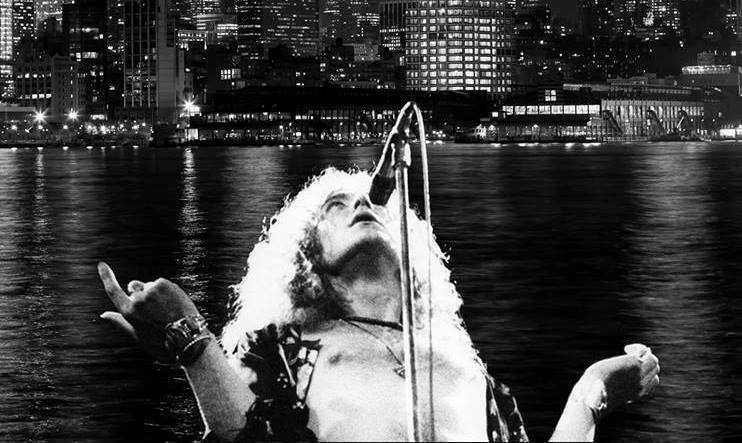 I have so many great memories tied to this venue – the band’s very first show, every CD release party, and countless other performances. We can’t wait to pay tribute and play there one last time! Weds 6/26. Maxwells. Hoboken, NJ. 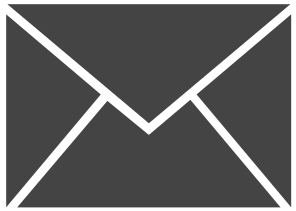 7:30pm. I hope you can be there. 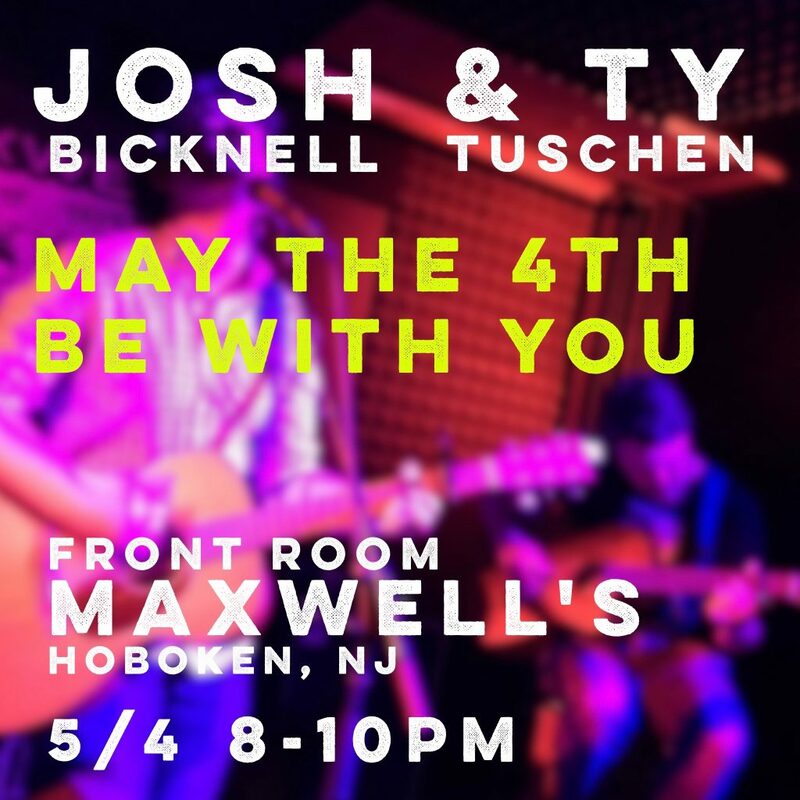 This entry was posted in hey tiger, performance, shows and tagged christina alessi, hey tiger, Josh bicknell, maxwells, nj, reunion on June 13, 2013 by josh.